South Korean artist Haegue Yang (aka Heike Jung), living and working in in both Berlin and Seoul, believes that there is “a mysteriousness and spirituality in the most banal things.” Her use of window shades in many of her installations seems to be proof of this. 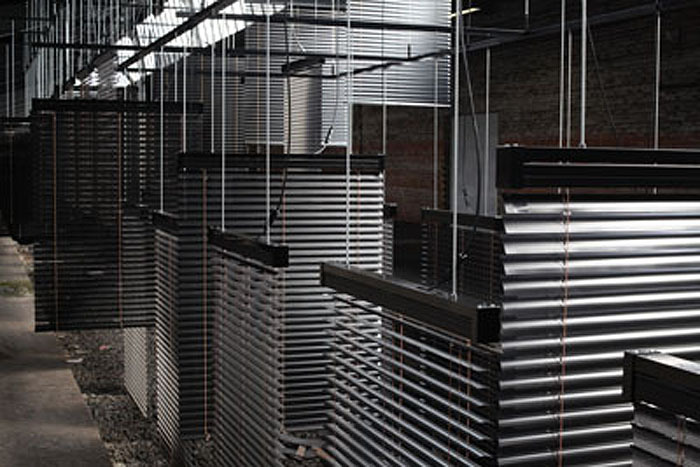 Presently, Yang has an installation titled Approaching: Choreography Engineered in Never-Past Tense (top five photos) as part of documenta (13) in Kassel, Germany through September 16, 2012. 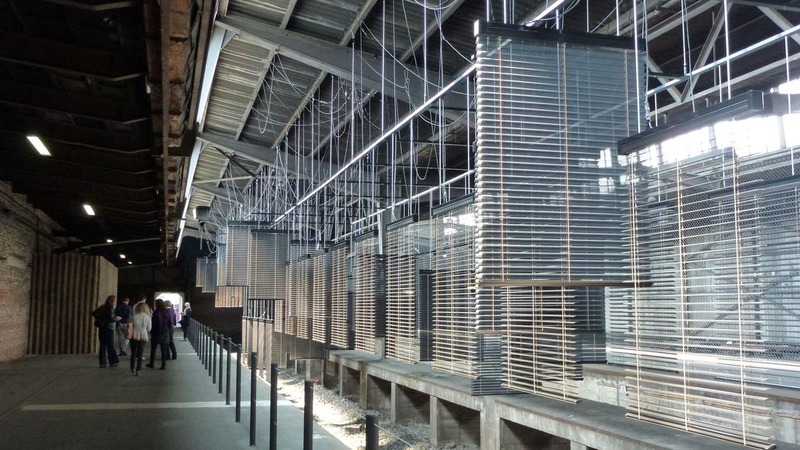 These artfully hung and motorized clusters of Venetian blinds have appeared in some of her previous works, but this block-long installation and its choreography must certainly be fun to experience. Earlier aluminum blinds works include: Citadella; Manteuffelstrasse 112; Escaping Transparency; Three Kinds; Yearning Melancholy Red and others. Haegue Yang’s fascination with domestic items doesn’t limit itself to blinds. She uses foldable laundry racks, cans, cups and cup cosies, just to name a few, in her other more sculptural works. Photos courtesy of the artist; Carnegie International; and Camila y el Arte. This entry was posted in Art, Event, Stuff We Like. Bookmark the permalink.